Chocolate Flavoured Dairy Ice Cream with Chocolate Shavings. 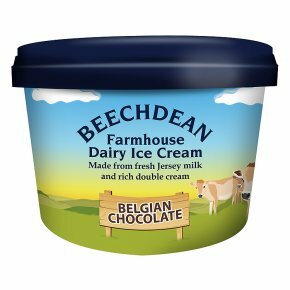 Made from fresh Jersey milk and rich double cream. Made fresh on the farm. Gluten free. No artificial colourings or additives used. Suitable for vegetarians.